You really aren’t much of a magician if you can’t do a really strong, visual and effective piece of magic at any moment. 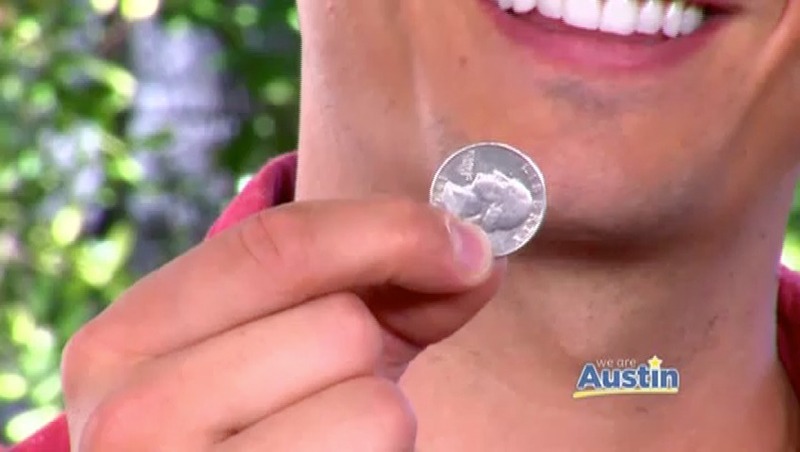 Although 95% of my work is stand-up comedy magic I never leave home without this trick in my pocket. 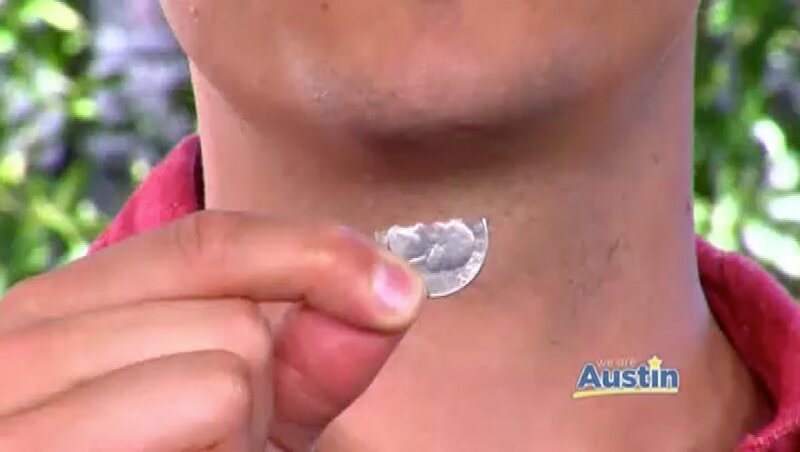 I have also frequently used it in those occasions when I have been asked to teach someone to perform a feat of magic, the video trailer shows a recent promotional appearance where I used it in this manner. It is easy to teach and makes the host look great when they perform it! I also keep a supply of the effect to act as a giveaway to key clients and good friends seeking to learn a trick. This has been very useful to me over the years. We are delighted to offer a really beautifully precision manufactured version of this item made to the most exacting standards right here in the United States of America. I really can not recommend this powerful but inexpensive item too strongly. 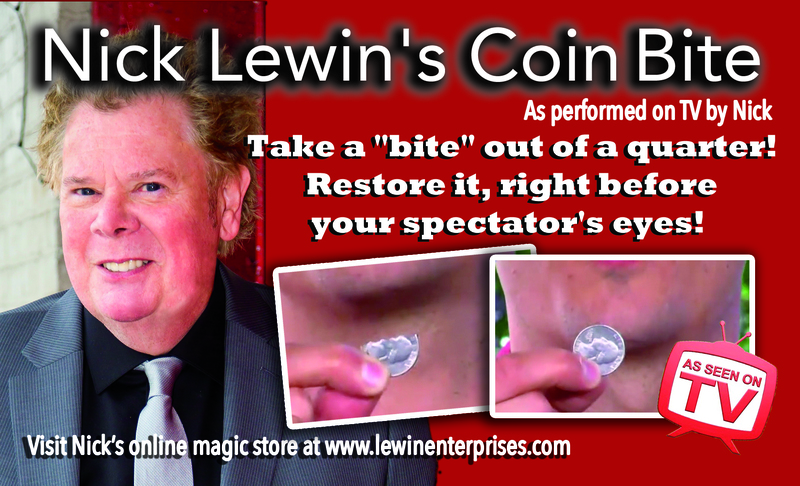 For further details and to purchase the Nick Lewin Coin Bite visit lewinenterprises.com While you are there check out our other fine magical items available online.